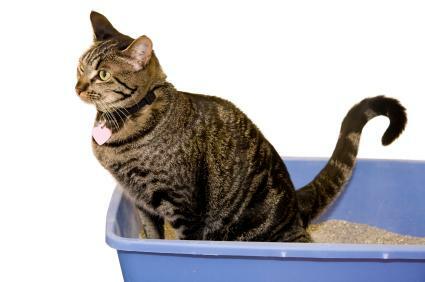 Constipation can become a serious and painful condition for any animal, so it's important to be aware of the best cat laxatives you can use to help your pet. The following laxatives are approved for felines, but you should consult your vet right away if your cat appears to be in distress. Stimulant laxatives are typically used to lubricate the digestive tract so it's easier for the cat to pass a stool. This type of laxative is typically used when hairballs lead to constipation. Sentry HC Petromalt uses a combination of mineral oil, petrolatum, glycerin, and other ingredients to break up hairballs and lubricate the digestive tract. This product also contains corn syrup, so it may not be appropriate for cats that are allergic to corn or have diabetes. Lax'aire contains petrolatum to lubricate the intestinal tract and cod liver oil to act as a laxative. Additional ingredients include soybean oil and peptonized iron. Cats tend to like the taste of the cod liver oil, so it's easy to administer. 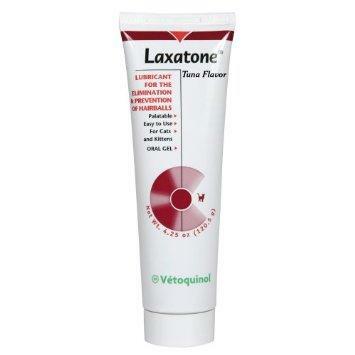 Laxatone is an over-the-counter product that's especially useful for treating constipation caused by ingesting fur. The tuna, catnip, and malt-flavored varieties of this laxative contain a combination of white petroleum USP, light mineral oil, and soybean oil, among other ingredients, to relieve constipation. Cat owners who prefer to avoid giving their cats petroleum products may prefer Laxatone Natural. This formula contains soybean, vegetable, cod liver, and flaxseed oils, as well as beeswax to lubricate and ease constipation. Bulk-forming laxatives absorb water and help soften dry, hard feces so they pass easier. The extra bulk also helps the cat pass stools more often, which keeps him regular and lowers the chance of becoming constipated. Lactulose is a prescription liquid laxative that softens stools. It's often used to treat cats that suffer from megacolon, and it lessens complications from certain types of liver disease. According to WebMD, it's safe to use Metamucil for cats and is especially useful for cats that suffer from frequent constipation. The site recommends adding one teaspoon per day to wet cat food, and that you can keep your cat on this regimen indefinitely without causing a problem. However, you should make sure your cat also has plenty of fresh water available when taking this laxative. Metamucil is readily available at any pharmacy department. Vetasyl is an over-the-counter constipation remedy that contains a combination of psyllium seed husks and barley malt extract powder. It's a very natural product that doesn't contain any additional chemicals or preservatives. Like Metamucil, Vetasyl is sprinkled over wet cat food, and your cat should have a constant supply of fresh water in order for the laxative to work properly. As with anything else you'd feed your cat, read the ingredients label to make sure the laxative you choose doesn't contain anything you know your cat is allergic to. Constipation can be uncomfortable at its mildest and life threatening at its worst, so call your vet to discuss using a laxative, and get his or her expert opinion whether this is the right treatment for your pet.